The Steering Group combines the knowledge of five persons from Estonia and Finland who see the bigger picture, steer us in the right direction and help us to keep on track with our activities. 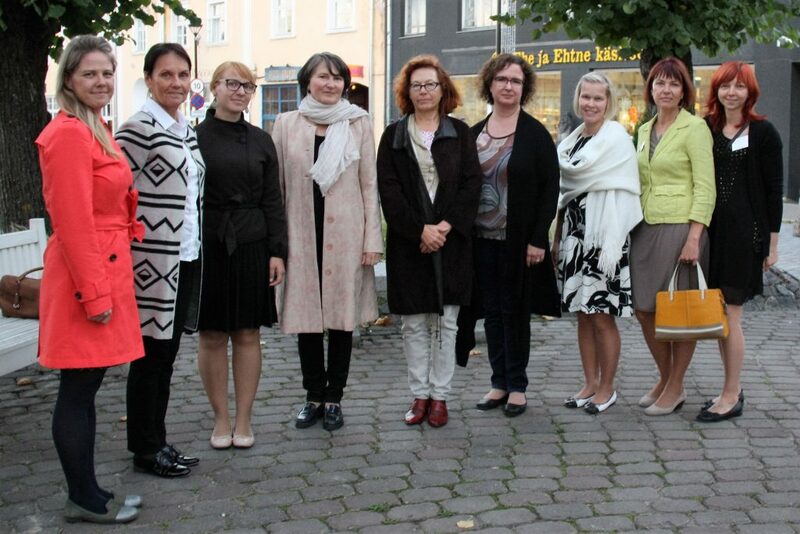 It consists of representatives from each participating partner: Heli is the Director of the Tallinn University Haapsalu College; Ingrid is the Director of the Haapsalu Vocational Education and Training Centre, and Anna-Maria is the Director of Research, Development and Innovation at the Metropolia University of Applied Sciences. To add a nation-wide perspective, we are also lucky to have with us Triinu from the Public Health Department at the Estonian Ministry of Social Affairs, and Taru from the Ministry of Social Affairs and Health of Finland.